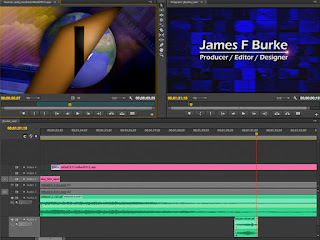 The video editing interface of Adobe Premiere Pro. A little while back a client asked me to do a follow-up video to one that I had edited in Avid Media Composer last year. This time around, I decided to do the edit in Adobe Premiere Pro, so I had a good comparison to Avid. There were some things I missed about the Media Composer, but all-in-all it was a very pleasant experience. On the video I had done in the Avid, I had imported all of the media in as DNxHD, rather than linked AMA, so the workflow in Premiere Pro was a little different from the start. Premiere Pro, like Apple Final Cut Pro, always works with linked media rather than importing and converting media to its own format. Until AMA came along, Avid had historically always converted all of its media before the edit could begin. I did sometimes find it disconcerting that if I extracted a number of clips from the sequence it would sometimes hold onto the old cache of the sequence and play clips that weren't actually there. Whenever that happened I would just have to refresh the cache and all would be well. I loved the fact that I could have Adobe After Effects comps right in the Premiere Pro sequence timeline. This is something I would love to see in the Avid system. Even though I didn't need to animate the audio pan settings, I love the ability to keyframe pan as well as levels, just like you can in Final Cut Pro. What I like about Premiere Pro is that you can do your keyframe adjustments for volume right in the sequence timeline. I do miss all of the trimming options that are available in Media Composer, but I do like the Rate Stretch Tool in Premiere Pro. It makes the process of adjusting the speed of a clip a lot faster if I don't have to drop a Trim To Fill effect on it first. I like that there are a number of things, such as position, scale, opacity and time remapping that you can do to a video clip without having to drop an effect on it first. 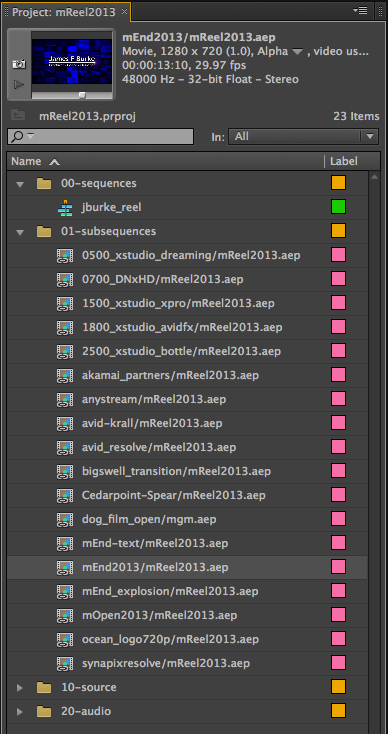 As you may have guessed from my Motion Effects in the Avid System blog, I prefer the way Adobe does time-remapping. It is a much more elegant and intuitive way to add dynamic motion effects to a clip. I wish Premiere Pro had a little more flexibility with segment versus transition effects. Most of the effects in Avid can be used as either and seem to have a lot more options in the way of customizing. Then again, did I mention that you can have After Effects comps directly in the Premiere Pro timeline? The Avid Media Composer is still my number one go-to editing tool, but it's good to have a strong number two, now that Final Cut Pro has changed so drastically.